13 will be dropping next week on iTunes, DVD's, and Blu-Ray - Monday, September 17th! But first, the film will be premiered across the country. Be aware, these events are first come first served - get there early to make sure you get in! Premiere locations: Burlington, Boston, Denver, Kelowna, Montreal, New York City, Newport Beach, Salt Lake City, Seattle, and Whistler (more information below). 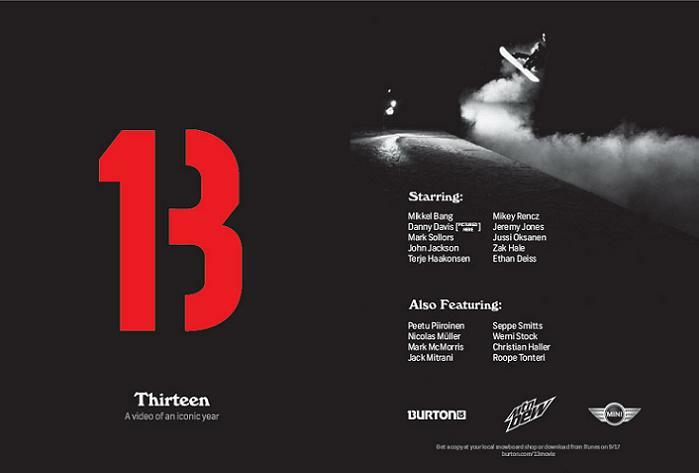 Check out burton.com/13movie for and more information.